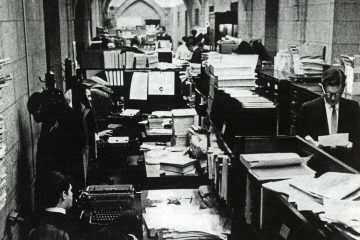 Bruce Hutchison (below), who died on this day 26 years ago, was a much-admired journalist who cultivated close ties with the Liberal establishment, especially his friend Lester Pearson. When Pearson became Liberal leader in 1958 Hutchison was among the small tribe trying to convince Pearson he was misguided in wanting to topple the Diefenbaker government in a vote of confidence. 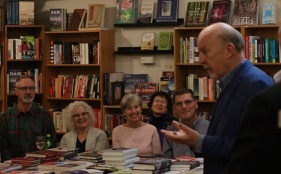 Pearson did not take their advice — and it did not end well; even after Pearson recruited Hutchison to ask him pre-arranged questions during a TV appearance. 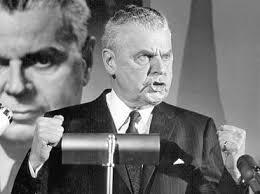 Diefenbaker demolished Pearson in the Commons and went on to win the greatest majority in Canadian history. #PowerPrimeMinistersPress pps .113-15. 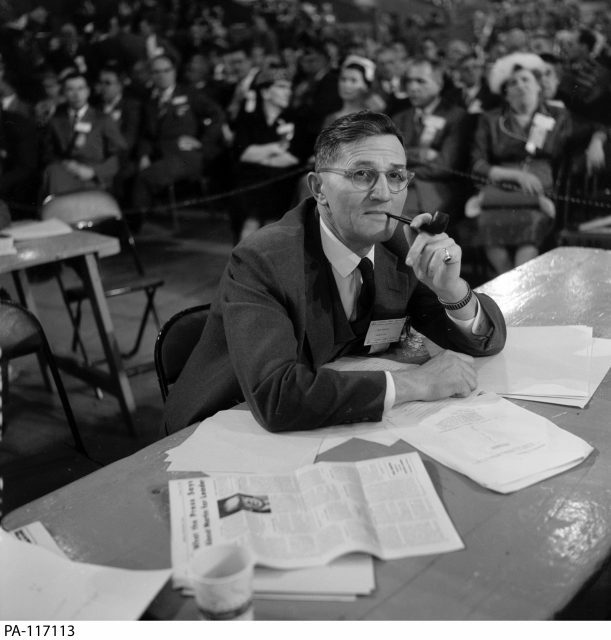 (Photo: Hutchison at the Liberal convention, 1958. Duncan Cameron/LAC PA-117113).